Senior Partners and Acousticians for WSDG are involved in active teaching and lecturing schedules. John Storyk, Dirk Noy, Sergio Molho and Renato Cipriano lecture on a frequent basis and many of these lectures are open to the public and/or available at a low cost. If you are interested in attending any upcoming events please click here. 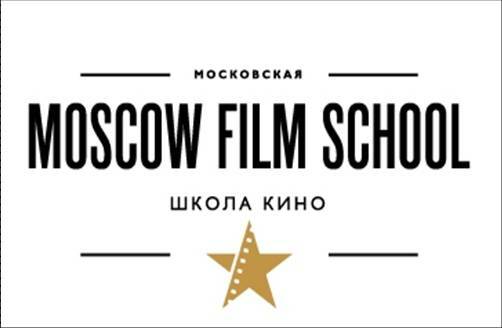 Preliminary registration will be opened from 12th May @ Moscow Film School web-site. Description: Engineer Renato Cipriano (WSDG Brazil) will present a case study for a critical listening space designed with budget restrictions. This instructional presentation will examine basic design concepts room simulation and analysis techniques. Fundamental concepts and the methodology to identify potential problems will also be considered. Attendees will learn to analyze and evaluate test findings, and propose effective solutions. 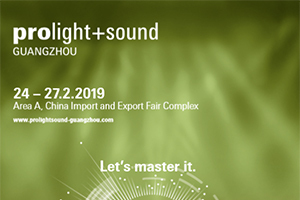 Based on an example mastering mastering room design, the presentation will demonstrate how to achieve a balanced and transparent environment using fundamental absorption and diffusion concepts, with an emphasis on low frequency control and treatment positioning. The main objective of this case study was to achieve an acoustically enhanced environment with the highest possible levels of comfort and transparency, and to accomplish this goal within the boundary’s of a limited and clearly defined budget. *For architecture graduation of PUC-MG (Pontífica Universidade Católica de Minas Gerais). Description: During the past 50 years, audio studios have changed considerably. Today, virtually any artist can have a PERSONAL / PROJECT studio. We would suggest that studios have been personalized for many years and that artists have been responsible for many of the most amazing acoustic changes in studios during these years. John will share photos, plans and details of many studios and acoustic environments that are part of the architectural environments responsible for the making of music and critical listening. Thomas Wenger and Dirk Noy will be at the show March 13 & 14. Location: HOT ZONE room called The Forum (203 A-B). On the 2nd Floor, Hall B, in the Anaheim Conv. Ctr. Sergio Molho, Renato Cipriano and Marc Viadiu from the WSDG team will to at the show. Congress Overview: Connecting business and sports – ASPIRE4SPORT is a platform for world-leading sports personalities, managers, decision-makers, and sporting gurus to discuss the latest trends, technologies, breakthroughs, and hot-button issues in the world of sport. Description: Establishing high quality speech intelligibility for sports events in stadiums requires a somewhat different mindset than that required for an optimum concert sound. Two key issues to consider are: (1) Speech intelligibility is more significant than the frequency response of the system for sports events. AND, (2) Uniform sound coverage is critical to meeting FIFA rules and regulations. This AES presentation will cover: Analysis of Requirements Involved in The Design Process of Stadium Sound Systems; including frequency response, target STL and STI values, coverage (SPL distribution) Zoning, Architectural and Structural Integration, redundancy, etc. Also to be covered are: Overall Electroacoustical Simulations and Auralization for Large Arenas. Additionally, the presentation will address: Sound System Design For Security (Evacuation/Public Address Announcements) including zoning distribution in coordination with Broadcast Issues which Require Special Attention And Drive Design Decisions. Description: A measurement test is devised to provide comparative results between a dedicated type I Sound Level Pressure Meter and a PDA and mobile application with proprietary additional components. The test pretends to analyze and compare results considering only frequency response, linearity over selected dynamic range, and transducer’s directivity under controlled on-site conditions. This, under the purpose of examining the accuracy of the non-dedicated hardware to perform acoustic measurements. WSDG’s Sergio Molho will be attending InfoComm 13. This is the largest pro-AV show in the world and has been recognized as a Tradeshow News Network Top 250 Trade Show. Download the powerpoint presentation from our FTP site. NEW YORK: Sergio Molho, Walters-Storyk Design Group Director of New Business Development, reports that company co-principals Beth Walters and John Storyk will travel to India later this month for a series of new-client meetings on up-coming projects. On March 25th John Storyk will present two lectures at Yash Raj Studios in Mumbai. The 2:30 PM lecture will address project studio acoustics and small critical listening environments. The 5:30 PM presentation will cover large scale broadcast, performance and audio/video production/post-production facilities. The lectures will be free to AES India members and Rs. 2000 for non-members. For details contact: www.aesindia@gmail.com. The Walters-Storyk Design Group has designed over 3000 media production facilities in the U.S., Europe, the Far East and Latin America. WSDG credits range from the original Jimi Hendrix Electric Lady Studio in Greenwich Village to NYC’s Jazz At Lincoln Center performance complex, the KKL Luzern Concert Hall in Switzerland, broadcast facilities for The Food Network, CBS and WNET, over twenty teaching studios for The Art Institutes around the US, and corporate clients such as Hoffman La Roche. Recent credits include Jungle City, NY’s major new destination studio; private studios for Green Day, Jay-Z, Aerosmith, Bruce Springsteen and Alicia Keys. WSDG principals John Storyk, Beth Walters, and Dirk Noy lecture frequently at universities and industry events, and contribute regularly to industry publications. WSDG is a seven-time winner of the prestigious TEC Award for outstanding achievement in Acoustics/Facility Design, including 2012 for Jungle City. WSDG maintains offices in NY, SF, Miami, Buenos Aires, Belo Horizonte, Basel, Beijing, Barcelona and Mexico City. stadiums in a digital age. In an effort to maintain a timely and informative edge to the AES Broadcast Design Panel, moderator John Storyk has developed a new program for the 133rd Convention. A panel of four leading studio contractors and installation experts: (TBD) will provide a real-world users survey of specific products and acoustic materials commonly (and rarely) incorporated in professional critical listening environments. Optimal options for doors, glass, HVAC, variable acoustic panels, furniture, equipment racks and other integral components of today’s high-end (and budget conscious) TV and Radio broadcast facilities will be discussed in detail. This is not an advertorial event. Contractor recommendations are based on personal field experience with these products. Their success is contingent on their ability to provide clients with cost-effective solutions to a myriad of technical and aesthetic issues. Date: Saturday, October 27th, 9:30 a.m.
Technical Tours are made available on a first come, first served basis. Tickets can be purchased during normal registration hours at the convention center. This event is limited to 44 tickets. Date: Sunday, October 28th, 4:30 p.m.
John Storyk has designed acoustics for a number of live performance venues. These range from the Jazz at Lincoln Center Complex to the successful NYC club Le Poisson Rouge and to the Fenix Club, a brand new venue in San Rafael, which will be on the Tech Tour Schedule. John will give an illuminating presentation on improving acoustics in existing performance venues AND designing acoustics for new venues that would address potential absorption and reflection and other sound-related issues prior to construction. He also just completed the acoustics for a new NYC club called 54 Below (below the Studio 54 theater). Some VERY innovative acoustic solutions were developed for that venue. Subject: Acoustics and Recording Studio Design. Synopsis: Learn about room acoustics and studio design relating to project studios and home studios. Subject: Acoustics and Recording Studio Design (in two parts). Read article in Inside Syracuse magazine. Date: Thursday, October 21 between 9:00 a.m. and 10:30 a.m.
Subject: There continues to be an increasing need for facility upgrade and expansion in the broadcast production and post production sectors. Numerous technical and social issues are fueling this, including changing delivery and production protocols (i.e. HDTV, surround audio, etc. ); improved economic times with respect to media content organization; etc. Typically, facilities have had to expand or improve their audio production rooms by retrofitting an existing room or installing a new room within an existing production complex. This panel will explore specific techniques as well as examples dealing with the construction and more specific acoustic and technology issues, associated with retrofitting and renovating audio production facilities with an eye towards broadcasting production and post production standards. Our panel will be composed of industry professional both from the owner, user and installation components of this subject. Date: Thursday, October 21 between 10:30 a.m. and 11:30 a.m.
Abstract: Modeling of sound reinforcement systems and room acoustics in large and medium-size venues has become a standard in the audio industry. However, acoustic modeling of small rooms has not yet evolved into a widely accepted concept, mainly because of the unavailable tool set. This work introduces a practical and accurate software-based approach for simulating the acoustic properties of studio rooms based on FEM. A detailed case study is presented and modeling results are compared with measurements. It is shown that results match within given uncertainties. Also, it is indicated how the simulation software can be enhanced to optimize loudspeaker locations and place absorbers and diffusers in order to improve the acoustic quality of the space and thus the listening experience. Date: Friday, October 21, 2011, between 12:00 p.m. and 1:00 p.m.
Abstract: Increasing demands for community noise abatement, most specifically for architectural spaces such as night clubs and performance venue, have resulted in a variety of interesting design solutions to insure high performance sound attenuation, with FSTC results in excess of 80dB. This has often been accomplished with a combination of architectural construction design as well as electro-acoustic systems design such as directional subs, low frequency harmonic processing, and other systems integration devices. This paper will explore these designs and recent field results. Subject: In an environment of planned obsolescence which requires manufacturers to constantly upgrade existing technology and research the development of new hardware and software tools, the ability to recognize authentic innovations has never been more important. Costly investments in “buzzword” gear that ends up infringing on valuable rack space can negatively impact on HOW budgets and tech consultant credibility. In this session in-house and independent HOW TD’s will recognize the difference between a great sales pitch and a bona fide ‘must have’ which will provide measureable performance enhancements and production/cost efficiencies. Simple formulas for assessing gear investment potential; tips on cutting through the hype; and real world examples of gear that has and has not produced meaningful ROI will be discussed. Also, facility planners will benefit from an assessment of current trends in affordable, technology for church environments. The program will cover new analysis and design techniques, green materials and innovative installation techniques A particular emphasis will be placed on creative and economic solutions. Subject: Architecture and Acoustics of Audio Production Facilities. Review the fundamentals and beyond for designing home theaters, A/V environments and listening rooms. Includes basic acoustic and viewing considerations for both residential and commercial projects. More in-depth discussion includes a show and tell of specialty acoustic materials, and tips on teaming up with an acoustician or A/V consultant and how to make your budget work. Get a checklist for optimum project evaluation that includes programming, quietness, internal room acoustics, A/V requirements, and expected challenges. Subject: Architecture & Acoustics in Studios, A Love Affair. Learning from Electric Lady Studios and Beyond. Please join us as John Storyk, a founding partner of Walters-Storyk Design Group (WSDG), recounts his personal journey with Jimi Hendrix and Electric Lady Studios, and demonstrates basic acoustic design principles used in the design and construction of audio installations worldwide, as well as how they can be applied to more widespread integration in commercial architecture. During the past 40 years, professional audio and broadcasting studios have not only grown in sophistication but have provided very interesting and robust acoustic designs for critical listening and sound isolation, offering much to learn in their application for interior architecture and design. Mr. Storyk and WSDG have created studios for Bruce Springsteen, Alicia keys, J-Z, Timbaland, Bob Marley, Food Network, ESPN, and many others. Subject: Broadcast Facility Design; Attending to the Details. John Storyk will chair a panel on the myriad details inherent in designing a broadcast production/post-production facility. Topics will include: Facilitating work flow, determining and achieving exact acoustic requirements, and the end-users‘ perspective. Subject: Studios and Labs for Future Music Technologists / Production In Action. Audio education has always pushed beyond the scope of the traditional lecture classroom experience. Recent innovations in pedagogy and investments in facilities point to a future of audio curricula rich with cutting edge research, intense hands-on experience, and deep interaction with other disciplines. Educators and students are invited to join the discussion with our panelists as they present their benchmark work in creating a compelling out-of-class experience. Subject: Small Room Acoustics – Corporate and Residential Interiors – The Acoustic Concerns Are Not That Different From Pro Audio Studios! Subject: State of the Art Audio Production and Recording Studio Design. Subject: The Design of Mixed Media and Performing Arts Facilities. Subject: Concept, Design, Construcion and progress of Javeriana University’s Centro Ático. The event will be taking place at the new Centro Ático of Javeriana University: this seven storey building is the most ambitious audio visual project of the region until now, and makes the University one of the most technologically prepared education facilities in the world. Click here to see the WSDG project page on Javeriana University. Subject: Masterclass on Acoustic Design, focusing on production and post production facilities and its evolution through WSDG’s 40 year history. Subjects: Acoustical Calculation and Simulation Techniques. Acoustical Surfaces in Theory and Application. Subject: Fundamentals of Acoustics. Acoustical Calculation and Simulation Techniques. Subject: “Acoustics And Interior Design,” Storyk’s presentation will address the collaborative nature of these intimately related disciplines. A bond, which enables them to enhance each other’s aesthetics and functionality. Subject: Acoustics and Listening Environments. Subject: Prediction, Optimization and Reproduction of Low Frequencies in Small Rooms. Subject: The Importance of Acoustics in House of Worship Design. Subject: Acoustical Technologies in Modern Architecture. Presenters: John Storyk, Judy Elliot-Brown (WSDG), Chris Harmaty, Brian Wick (AudioEngine), Dirk Noy (WSDG), Marcy Ramos. Subject: Studio Design and Acoustics: A Case Study. 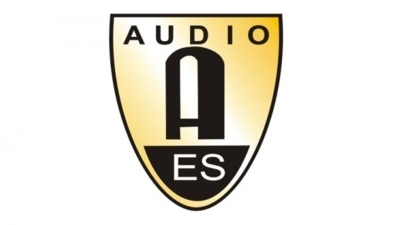 Click here to read more about WSDG’s events at AES. Subject: Small Room/Low Frequency Acoustics. Subject: Audio Recording Environments – Past, Present and Future. Subject: Acoustics for Recording Studios and Listening Applications. Subject: Information About the Design and Technical Features of Le Poisson Rouge. Subject: Game Studio Set-Up and Design.